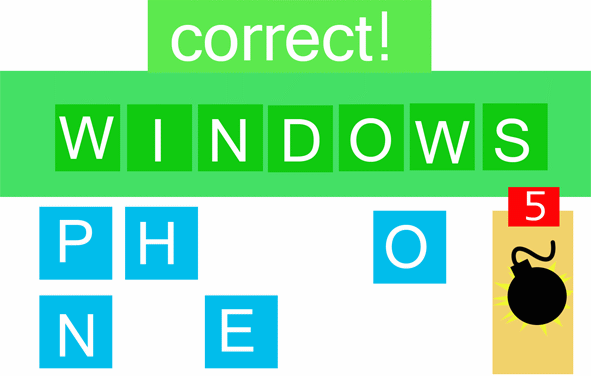 DrawSomething: Windows 8 Apps To Run On Windows Phone 7? Does DrawSomething know something we don’t? As Microsoft is yet to make the official announcement about the Windows Phone 8 (rumored for early June reveal during their E3 2012 conference), there are all kinds of different rumors and speculations. Interestingly, everyone expects to see Windows 8 Metro apps running on a Windows Phone 7 / 8 devices, and as shown here, WP apps can already utilize up to 90% of the Windows 8 code. So why are we saying this? Well, as you might know, WP users asked Zynga to create a DrawSomething app for the Windows Phone 7 platform. But the interesting part is this: someone just created another suggestion titled “Will this game be available as a Windows 8 app in the future?.” and guess what happened? It was merged with the WP7 suggestion tread. While this confirms absolutely nothing, it does add some fuel to the fire and keeps the speculation going. Wordament Xbox Live Edition Is Here!